WordPress is one of the most popular blogging and site management platforms. With this CMS you can not only make up a nice site by a couple of clicks, but also promote this site on the web really well. One of the best ways to make your blog or any other project more popular is to use Search Engine Optimization, or just SEO. This method makes your site more “findable” for other users. WordPress plugins are easy to install and operate, and that makes the promotion of your site a pleasant process. There are different modules with specific functions, but this topic will be discussed in our article a bit later. 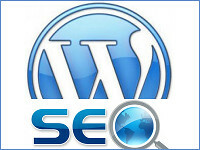 Usually, a SEO plugin helps you enter some additional data about your blog post or website page. This is how the pages of your site get more popular at search engines. As we have already stated above, you can add many SEO functions to your web pages. For instance, you can add description, title and keywords to any of your blog posts. This is very important if you want your site to become really popular. There are also some more advanced SEO functions like adding Meta robots, or working with RSS footers. Apart from must-have functions we have listed above, you can also try some additional ones. They will make your blog function better and with fewer errors. For instance, some plugins help you check your posts for broken links. Some other will connect an exact name with a certain post on your blog. The options are numerous, you only need to choose what you like and need. How To Install SEO WordPress Plugins? Installing any plugin on your WordPress CMS normally takes a few moments. There are three ways for it. The easiest of them is using WordPress platform itself. Just go to your admin page, choose plugins, and install what you need. 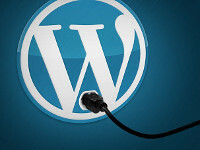 Another way to get a plugin attached to your WP is to upload it manually through WordPress. Finally, you can use FTP to upload the plugin files, but this way is probably the most complicated. Also don’t forget that some WordPress plugins are paid. This is common for SEO plugins, as this development area is quite commercialized. However, the prices are not that big compared to extremely important functions you get. So, get ready to update your site, and good luck with your Search Engine Optimization!